Partnering with Casey Trees, Thursday Network volunteers will plant trees at Heritage Island. Casey Trees’ mission is to restore, enhance, and protect the tree canopy of the nation’s capital. 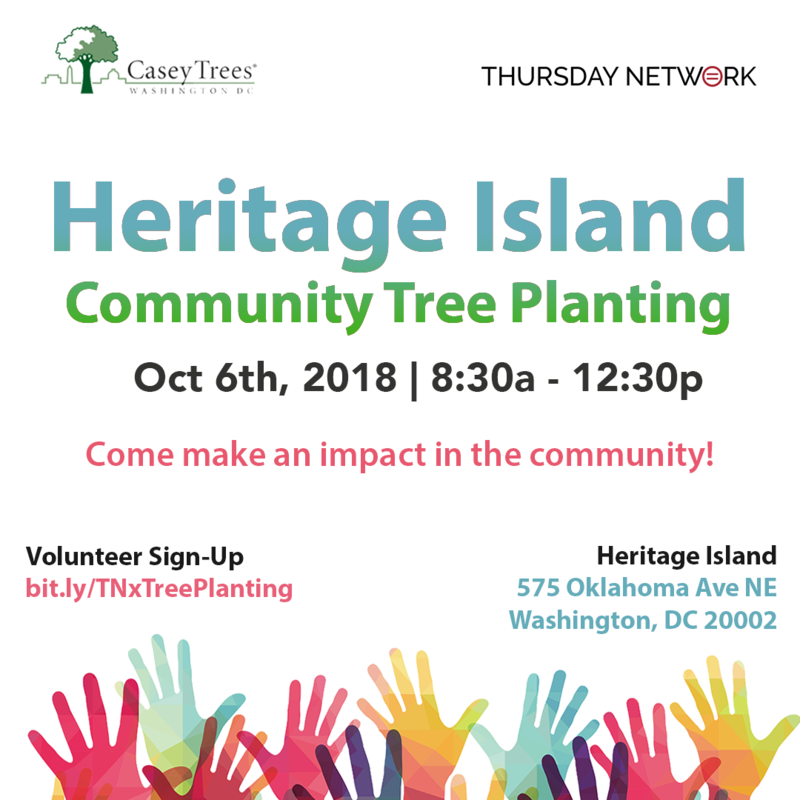 Thursday Network will help plant trees at Heritage Island of Washington, DC.